Ken Follett (b. June 5, 1949) is a Welsh author of spy thrillers and nonfiction books. He has sold more than 130 million copies of his works. He received rave reviews and bestseller success with the thriller Eye of the Needle. Ken Follett went on to write four more best-selling thrillers: Triple; The Key to Rebecca; The Man from St. Petersburg; and Lie Down with Lions. Since then, he has attempted different time periods, including medieval times, World War II, the Cold War to present-day. He is married to political activist, Barbara Follett, former decade-long Member of Parliament in Hertfordshire. The Folletts currently live in a rectory in Stevenage and also own a town house in London, as well as a beach house in Antigua. As a Shakespeare lover, Ken Follett often attends the London productions of the Bard’s plays. Ken Follett also enjoys being an amateur musician and plays bass guitar and bass balalaika for several bands. Follett served as chair of the National Year of Reading in 1998–1999, an initiative by the British government to raise literacy levels. Ken Follett has a son and a daughter from his previous marriage. Ken Follett developed an early interest in reading. His parents provided a strict and religious home where television and radio were not allowed. To fight boredom, Follett became an enthusiastic reader. 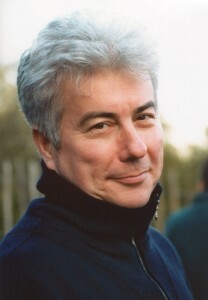 After attending state schools, Ken Follett was admitted to the University College in London, where he earned a bachelor’s degree in philosophy. His desire to start a journalism career brought him back to Wales where he worked as a reporter for the South Wales Echo. Follett later tackled the role of a columnist for the London Evening News. While working as a columnist, he published his first novel, which was not a success. In 1974, he left his position as a columnist to work for a book publisher in London. In his spare time, Ken Follett continued to write novels. Eye of the Needle was his eleventh book, and his first bestseller. The spy novel sold more than 12 million copies allowing Follett to win the prominent Edgar Award. The bestseller was later turned into a movie featuring Donald Sutherland. Not long after, Follett scored big again with more spy novels, including Triple, The Man from St. Petersburg, and Lie Down with Lions. Ken Follett then surprised readers by radically changing course with The Pillars of the Earth, a novel about a cathedral construction during the Middle Ages. Published to rave reviews in September 1989, it was on the New York Times Best Seller List for 18 weeks. With his recent work, World without End, Follett created a sequel to his widely popular The Pillars of the Earth. In 2012, Follett published the second Winter of the World novel in which he portrays the Spanish Civil War, World War II, and the development of nuclear weapons.